Armida Salsiah Alisjahbana is UN Under-Secretary-General and Executive Secretary of the UN Economic and Social Commission for Asia and the Pacific (ESCAP). 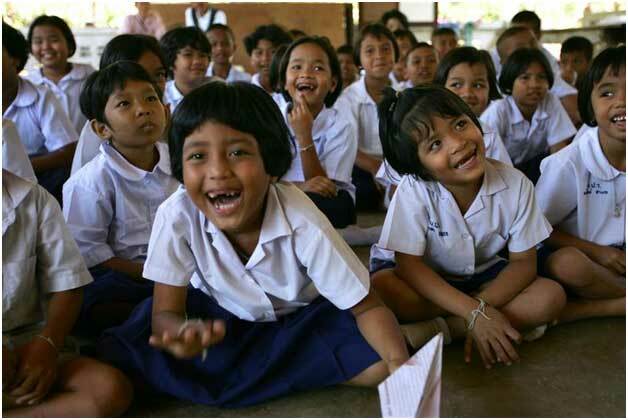 BANGKOK, Thailand, Mar 1 2019 (IPS) - Equal rights have been demanded and promised for generations, but last year a shift occurred in the women’s movement. Across Asia and the Pacific and around the world, women demonstrated to condemn a status quo which continues to deprive too many women and girls of respect and equal opportunity. This is a momentum we must maintain to achieve gender equality in Asia and the Pacific, an ambition which lies at the heart of the United Nations’ 2030 Agenda for Sustainable Development. Education is key. It remains the passport to better jobs, higher incomes and improved life chances. Progress in our region has been made and rightly celebrated, but equal numbers of boys and girls enrolled in education belies high dropout rates and lower attendance and attainment levels for girls. This is particularly acute in rural areas, where in many countries only very few girls from poor households complete secondary education. Improving health care coverage, particularly sexual and reproductive health, is another imperative. Again, women living in rural and remote areas are particularly disadvantaged, contributing to high maternal mortality rates in parts of Asia and the Pacific and teenage pregnancies with enduring societal consequences. This inequality of opportunity contributes to placing women at a considerable disadvantage in the labour market. Over the past thirty years, female labour market participation has declined in Asia and the Pacific, where only half of all women are economically active. This is in part because women are relied on to give up to six hours of unpaid care work a day, stifling careers and ambitions and undermining equal political representation. Corporate leadership positions remain the preserve of men. Today, for every ten men in work in the Asia-Pacific region there are only six women, the majority of whom are trapped in precarious, informal employment, characterised by low wages and hazardous working conditions. With such considerable barriers remaining to gender equality, the United Nations Economic Social Commission for Asia and the Pacific is supporting a bold coordinated response, which must include gender responsive budgeting. This approach ensures the different needs of women and men are part of budgetary decisions for the public expenditure which underpins the design of government programmes and activities. This is particularly important in shaping the provision of social protection, education and health care and the design of infrastructure. By placing a greater focus on women’s needs, gender responsive budgeting has been shown to make a major contribution to reducing the burden of unpaid work and enhancing women’s opportunities for leadership in the workplace and in political and public life. Gender responsive budgeting could also be used to create a more supportive environment for women entrepreneurs who are proven catalysts for change and a reliable means of increasing women’s share of the workforce. Women employ other women, who in turn, are known to spend more on their families, helping give children a healthy diet, a solid education and reliable health care. As potential GDP gains from gender equality in work and society are enormous in our region, up to eighteen percent in parts of South Asia, this is an opportunity we cannot afford to miss. Yet this entrepreneurial potential is currently frustrated by a lack of access to finance and ICT tools for business development. Seventy percent of women-owned micro, small and medium enterprises are underserved by financial institutions in developing countries. Women-owned enterprises are consistently smaller and concentrated in less profitable sectors. Innovative technology could be deployed to reduce gender barriers and promote digital inclusion. This requires support for businesswomen to mainstream ICT across business operations, make their financial management more robust and their outlook more responsive to new technologies. Put simply, women’s empowerment requires action on all fronts. It begins with equal opportunity to education and health care services, delivered through targeted investments, better attuned to women’s needs. Supporting women entrepreneurs with better access to finance and ICT can then keep women in work, enabling their businesses to innovate, remain competitive and expand. These businesses are essential incubators for future generations of women’s leaders, but will also contribute to a more gender equal environment today. 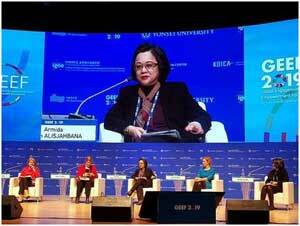 Women’s empowerment cannot wait in Asia and the Pacific.